hy does it so often seem that for some of us, the hardest part of “creative writing” is the “creative” part? How can simply coming up with an idea, getting those first few words out, and spinning something new seem so overwhelming? Seven years after earning my M.F.A., I can still find myself stuck and stymied. Frequently, prompts and exercises have come to my rescue. Getting you started: Many years ago, I realized that we’d never tell someone to run a marathon without undergoing training and warm-ups beforehand. Similarly, to expect anyone to embark on a full-fledged career as a writer without at least trying some exercises first seems, at best, ill advised. Getting you “unstuck”: I know—“writer’s block” is a touchy phrase. Some people refuse to believe the phenomenon exists. But for some of us, it can be a harsh reality. If you need a little something to get those creative juices flowing again, a prompt or exercise may be just the thing. Getting you published: It happens. Something you began writing because it was assigned as an exercise becomes something publishable. In fact, it has happened to me. “Rio, 1946” began as an overnight point-of-view exercise during a week-long summer workshop. More recently, several poems written in response to instructors’ assigned prompts have found their way to readerships beyond my instructors, my classmates, and me! Fitting into your schedule: Sometimes, we may say that we simply don’t have time for our writing. Sometimes, we may be right. 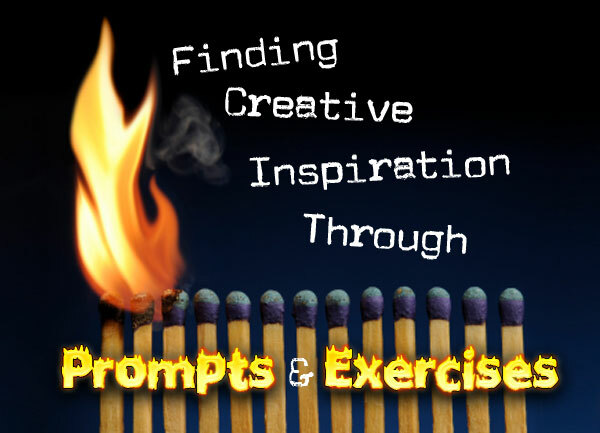 But here’s a beautiful thing about prompts and exercises: They’re not novels! You can squeeze them into a few minutes—and give yourself credit for work completed. Honing specific techniques: If you’re struggling to enliven characters, spice up some dialogue, or experiment with a new narrative point of view, there are plenty of exercises focusing on just those skills that are available to help you. Fortunately, it’s not essential to sign up for a writing class or workshop in order to benefit from the creative inspiration of prompts or exercises. There are plenty of resources you can pick up in print, or online, whether you're focusing on poetry or prose. Below, you’ll discover some that you may find especially helpful. If you look at the pages I’ve tagged with post-it notes in my copy of Ellis’s book, here’s some of what you’ll find: Eileen Pollack’s “Look Backward, Angel,” an exercise on writing in “first-person retrospective, in which a first-person narrator looks back on an event that occurred a long time ago, or at least far enough in the past to allow the narrator to gain new perspective”; “Let the Dead Speak,” an exercise from Laura Kasischke that invites the writer, as you may have inferred, to “conjure a ghost”; Sands Hall’s “Dialogue Without Words”; and “Finding a Larger Truth by Turning Autobiography Into Fiction,” by Susan Vreeland. And I’ve only given you a few examples of my tagged pages here. 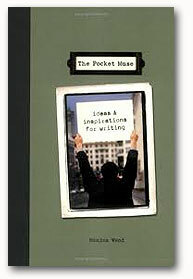 NB: If you're a nonfiction writer, you may want to check out Ellis’s follow-up volume, Now Write! 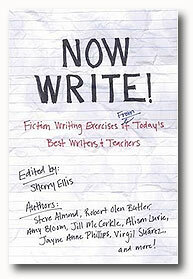 Nonfiction: Memoir, Journalism and Creative Nonfiction Exercises from Today's Best Writers (Tarcher, 2009). A key premise underlying this book is this: Every bit of time counts, no matter how small it may seem. In the world according to DeMarco-Barrett, you will no longer sit there doing nothing for those 15 minutes you spend waiting for the doctor or dentist to see you. You will write. (You will no longer waste those precious moments “while the water’s boiling, the coffee’s dripping, during TV commercials” either.) DeMarco-Barrett bases many of the book’s other lessons and exercises on this fairly simple premise: Everyone—even the busiest multi-tasker of the twenty-first century—can find 15 minutes to write. The brief chapters, focused on specific topics with tailored exercises provided at each one’s conclusion, enhance this sense of feasibility. When DeMarco-Barrett addresses the topic of “creating tension” in one’s writing, for instance, she assigns an eminently do-able 15-minute exercise: “Do you have a list in your notebook headed ‘Crises’? 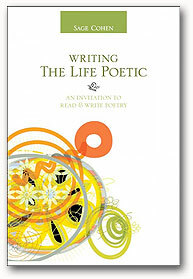 If not, make that list now.” This book is extremely well-written, well-organized, and practical. Poet Bernadette Mayer’s list of writing experiments has been around for quite some time, and is frequently cited when other poets and writers talk about useful prompts and exercises. You will find these experiments conveniently collected on the website of the University of Pennsylvania (Penn) Extension of the Electronic Poetry Center (PEPC). “Write a review of your current project (i.e., your novel, a poem, a story, etc.). Raymond also references exercises in the responses she’s penning for her new “Ask Midge” column. Check it out—and if you have a craft-related question, send it along! You may just receive an exercise (or several) in Raymond’s response! All through July and August, I received a daily writing prompt via e-mail from Lisa Romeo, a prolific nonfiction writer. This Summer Prompt Project evolved from the success Romeo encountered with a similar endeavor last winter, when she offered to send a daily writing prompt—the same prompts she provides to her writing students and coaching clients—for sixty days to anyone who wanted them. Romeo’s prompts are brief (one line, sometimes one word), and utterly open-ended. As Romeo says, “My bottom line is always this: If you manage to do no other writing that day, then a few lines in response to the prompt may help you to continue to feel like a CREATIVE writer.” Want to be sure you find out when Romeo’s next Prompt Project gets under way? Email LisaRomeoWrites@gmail.com. 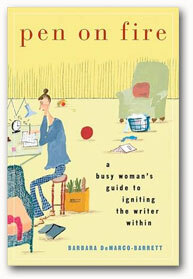 Author and teacher Meredith Sue Willis offers writing exercises online, noting that she calls them “exercises” instead of “prompts” because “I think of them as ways to strengthen the writing muscles that you already have and as ways to expand your range of techniques.” At last count, Willis had provided more than 180 exercises for you to choose from. In addition to the books and e-offerings listed above, you can also find resources that aren’t adequately described by the adjectives “print” or “online.” I’m thinking, for example, of author and creative-writing teacher Jamie Cat Callan's creation, The Writer's Toolbox: Creative Games and Exercises for Inspiring the 'Write' Side of Your Brain. 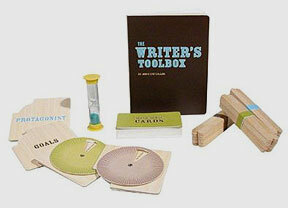 Packaged in an actual and attractively-designed container, The Writer's Toolbox contains exercises printed on what appear to be Popsicle sticks (divided among “First Sentences,” “Non Sequiturs,” and “Last Straws”); a set of “Sixth Sense” cards to propel creative and sensory-rich descriptions; and four “spinner palettes” to help your plots thicken. If this all seems a bit disjointed and confusing, don’t worry. The accompanying 64-page booklet explains clearly and quickly exactly how to use each tool. Zachary Petit, scribe for the Writer's Digest “Promptly” blog. These prompts and exercises should keep you busy for a while. Much more importantly, they should keep you inspired—and writing. Erika Dreifus is the author of Quiet Americans, a short-story collection forthcoming in January 2011 from Last Light Studio Books. A contributing editor for The Writer magazine, Erika also publishes “The Practicing Writer,” a free monthly newsletter for fictionists, poets, and writers of creative nonfiction. Please visit her at her new website, www.erikadreifus.com.